When life is filled with too much pressure, we either cave or we decide to deal with it. If you’re on the “deal with it” team, you may feel apprehensive about how to identify strategies that will work. In today’s blog I’ll suggest some ways you can gather strength and resources to reduce the stress that threatens to become a way of life. In my most recent blog (Life Happens – But what about the stress it generates? ), I offer some strategies for identifying and dealing with the small-time irritants in your life. These strategies are good practice for the time when you need to take on larger sources of stress, our focus for today. These larger sources of stress could have to do with health (cancer), life dreams (infertility), finances (debt), work (too much of it), or any number of other issues that have you in a stranglehold. The common thread these diverse issues share is that they have claimed more of your time and energy than you want to give – AND that they seem too tough to tackle successfully. So here is where we need to get clear about a few things: How do we define the issue we want to change? What kind of change do we want? What do we call “success?” What resources are available to help with the issue? What kind of change do you want? First you’ll need to consider how you have already tried to address the issue that is causing you stress. You don’t want to keep banging your head against an unyielding wall. So deciding on the kind of change you want amounts to looking for a previously invisible gate in that wall. In that effort, you’ll need to look more carefully at whether your definition of the issue could be broadened, allowing for more flexibility in the changes you are willing to consider. It also is a time when you should open your mind up to possibilities you may not have been willing to consider before. 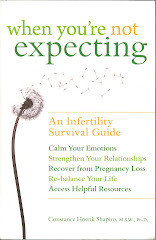 So, using the infertility example, you might re-visit your definition in #1 and reframe it as “I want to be a parent.” By doing that, you move beyond your initial issue of becoming a birth parent and broaden the kind of change you want to “parenthood,” which could come about through your willingness to consider donated eggs, donated sperm, donated embryos, surrogacy, adoption and, maybe, foster parenthood. What do you call “success?” With a clearer and more flexible idea of changes that would be acceptable, you may want to identify more than one measure of success that would bring you relief or satisfaction. Ideally, “success” specifies something over which YOU have some control. Success can be in mini-steps, with you feeling satisfaction each time you move forward even a bit. So, let’s say that, using our infertility example, you define success as completing the paperwork for an international adoption. The mini-steps could include reading books on adoption; sharing your hopes with close family and friends; becoming acquainted with some adoptive families in your community; deciding the country from which you hope to adopt; identifying an reputable adoption agency; increasing the funds in your adoption savings account; meeting with the agency staff to learn their expectations for prospective adoptive parents and, finally, completing the necessary paperwork to move the adoption forward. Taking these small mini-steps has made it possible for you to feel small successes and increasing confidence in your decision to pursue adoption as the previously invisible gate in the wall leading toward parenthood. When setbacks occur, as they inevitably will, it is important to have a foundation of some mini-successes to bolster you as you regroup and take a new route. The resources you identify will be very important as you encounter the inevitable setbacks that may be associated with your issue. In my earlier blog, I mention partners, loved ones, religious leaders, physicians and counselors as possible resources. Here is where you need to look at the issue as you have defined it and decide what network of helpful people you need to consult as you move forward. Ask trusted and experienced people for names of the professionals they would recommend. And don’t try to do too much! It is better to move slowly and carefully than to get tangled up in frustrating details associated with your issue. Remember that your goal is to make progress in moving through that once-invisible gate in the wall. Take your resourceful colleagues along with you so you and they can feel like partners-in-success. There’s nothing as joyous as being able to celebrate mini-successes together! So, with infertility as our issue, possible resources could include family members, local adoptive families, a financial advisor, adoption agency professionals, travel agents, pediatricians, attorneys and language tutors. There’s no question that feeling stressed and pressured is emotionally exhausting. And it is worse when you have been working for months or years on trying to grapple successfully with an issue that just won’t yield to your persistent efforts to bring about change. So today’s blog shifts the emphasis from “try harder” to “look for the invisible gate in the impenetrable wall.” And remember to recruit friends and experts, since their partnership in opening that gate can be invaluable! Am I A Mothers' Day Grinch?